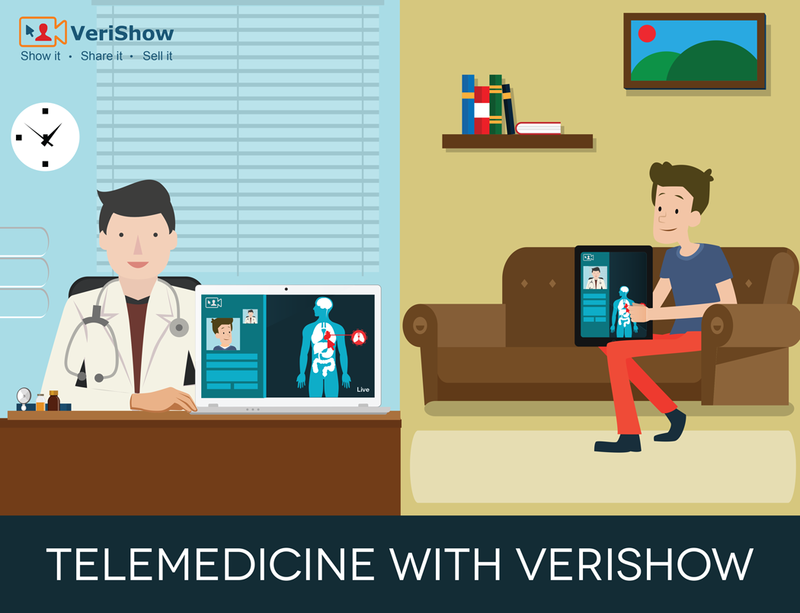 The Verishow Telehealth solution is the ideal solution for health care providers as well as pharmaceutical companies that wish to interact in person with patients. Telemedicine, according to American Telemedicine Association, is the use of medical information exchanged from one site to another via electronic communications to improve a patient’s clinical health status. Telemedicine includes a growing variety of applications and services using two-way video, content sharing, co-browsing functionalities on desktops and wireless devices and other forms of telecommunications technology. Remote medical technology is an increasingly popular way to administer preventive medicine and manage chronic conditions. Research shows that using telehealth technologies results in many positive outcomes including fewer hospital re-admissions, more faithful following of prescribed courses of treatment, and better recovery than that of patients not receiving remote intervention. Consequently, telemedicine is starting to emerge as a significant method of healthcare delivery. Providers say their biggest telemedicine hurdle is figuring out how to cover the cost. But because they are increasingly being paid for outcomes rather than procedures, they are incentivized to provide care in the most efficient way possible and telemedicine is cheaper than in-person care. As Medicare and Medicaid beginning to cover not-in-person consultations, reimbursement for telemedicine is also becoming more mainstream. Hence, billing codes have been established in many states and some health care providers themselves are willing to pay for the ability to deliver some services remotely. VeriShow, which has emerged from LiveMDexpert (a prototype portal for online healthcare advice) is well positioned to provide the needed tools for the biggest trend in digital health in 2015. With VeriShow, healthcare providers including pharmaceutical companies can interact in person anytime with patients and provide a personal healthcare help. The platform is flexible and consists of several tools that can be easily used by the session participants. The interactive VeriShow SaaS platform offers healthcare providers a host of tools to engage with patients in a live session format directly from within their web site. The main benefit is the ability to engage with a patient as if he or she walked into a healthcare practice. There is no need to download and install any software on either side. The healthcare provider talks to them via live video conference (one way or two), shows them materials and even process a transaction online if needed. As Telemedicine is not a “one-size-fits-all” industry, most clients require different features in order to meet the specific needs of their customers. The VeriShow solution and its features are modular and can be tailored to match the practice requirements and workflow. The company has a broad experience in healthcare and developed livemdexpert.com platform for healthcare providers. The healthcare expert launches a live session and start sharing a document with the relevant information to the test. The patient get all the information needed through a live demonstration and is well prepared for the test. If you have any questions or would like to see a demo of VeriShow, please contact us.